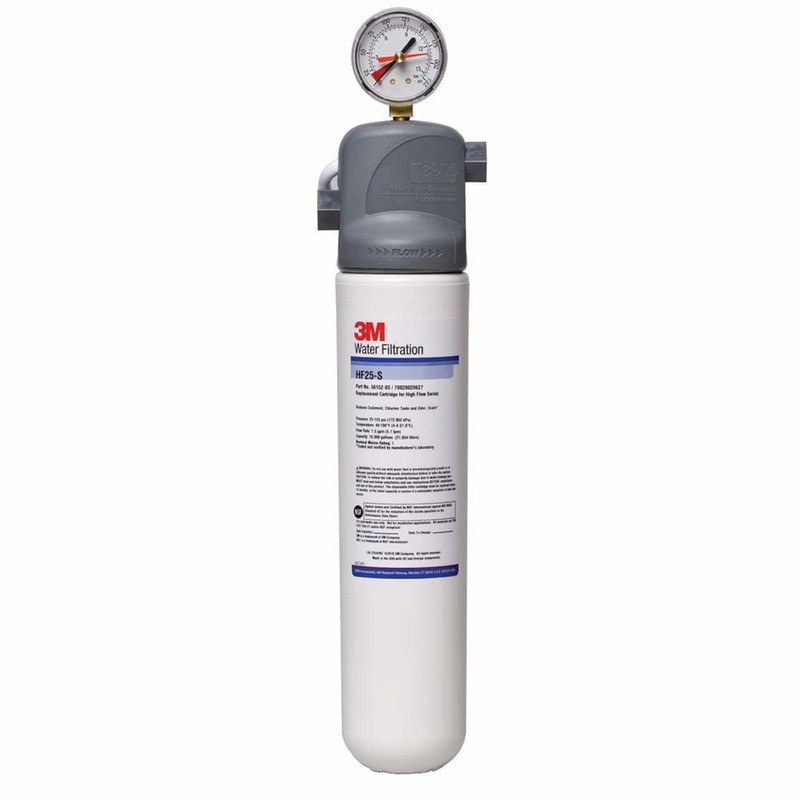 The 3M Cuno 5616004 water filtering system consistently provides high quality water for commercial ice that is clearer and has a great taste. This product reduces sediment, cyst, and chlorine taste and odor in water for better protection of the equipment. Without needing to shut off the upstream feed water, the valve-in-head design shuts off vents and water simultaneously, which allows for easy cartridge change-outs. A built-in inhibitor reduces lime scale build-up on ice machine evaporator plates. 5616004 holds a 10,000 gallon capacity and has a 1.5 gpm service flow rate. Suitable for low Flow Cubers to 750 lbs. Suitable for flakers to 1,200 lbs.